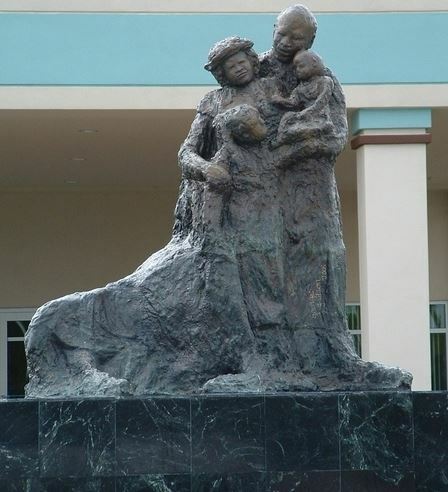 E. PAT LARKINS COMMUNITY CENTER – Artist George Gadson created the bronze sculpture of a family for the entrance for the Pat Larkins Community Center after extensive community interviews. The City of Pompano Beach engaged George Gadson to conduct a series of community focus groups. 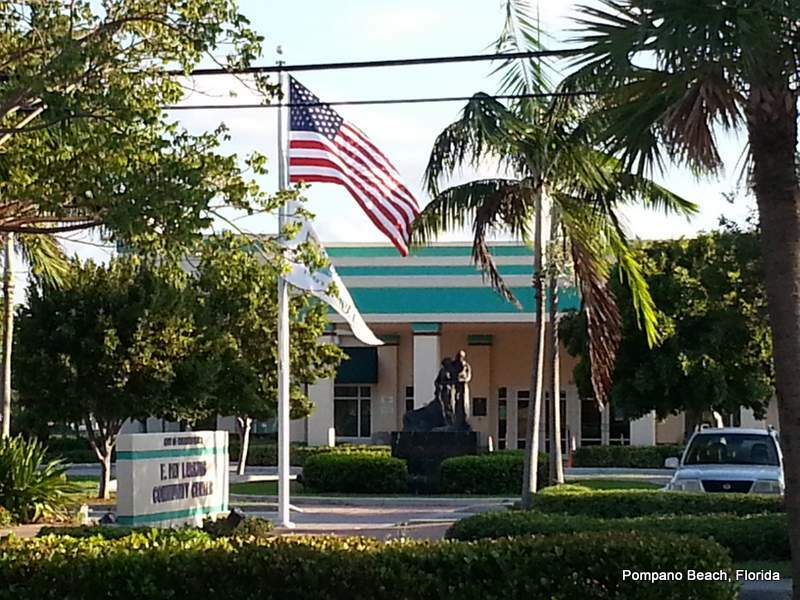 The focus groups were conducted to obtain feedback from residents in the Northwest Pompano Community regarding artistic designs for the E. Pat Larkins Community Center. Gadson was successful in meeting with the majority of the associations and a group of junior high students from the Pompano Boys and Girls Club. A five questions questionnaire was developed and used as a tool to initiate dialogue for feedback. All group discussions were facilitated by the artist. Additionally, several face to face interviews were conducted with adults who were born and raised in the City of Pompano and had an extensive knowledge of the area’s history. Through face to face interviews with a historian and a group of seniors in the community ranging from ages 72 to 85, the artist was able to get a good overview of the rich history of the Northwest Community. The common thread that appeared throughout the discussions and interviews was that of “preservation of family heritage and identity” – going back to the past to appreciate the present and look forward to the future.